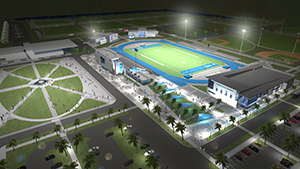 The IMG Academy recently launched a new Track & Field and Cross Country program directed by coaching pioneer Loren Seagrave that will operate within their new, cutting edge multi-sport complex. Loren spoke to the Sports Techie community blog about how IMG is doing, “High-level training with scientific principles for top coaches, done the right way in order to continue to the next level.” Sports Technology and Science are at the forefront of the inaugural Track & Field and Cross Country kickoff camp, December 29, 2013, to January 04, 2014. Their mission is to help athletes of all ages and ability levels reach their true potential in sport and life. Located in Bradenton, Florida, IMG Academy is the world’s foremost authority in athletic, academic and personal development for youth, high school, collegiate and pro athletes. IMG Academy also has the leading integrated academic and athletic training establishment. For more than 30 years, IMG Academy has helped countless youth, adult, collegiate and professional athletes realize their full potential in life and in sport. IMG Academy has 200,000 annual athletes, coaches, events and spectators from over 100 countries. The IMG Academy is a essentially mini university campus where 98% graduate as seniors and go on to attend a college with athletic aid, while the other 2% turn pro. They feature an 8-10 student athlete to coach ratio. Available as a standalone program or paired with another sport, the Track & Field and X-County program features a college preparatory education, combined with sport-specific training and athletic and personal development in disciplines like leadership, mental conditioning, and nutrition. X-Country is on 600 acre with a 5K IMG course. Today, the Bradenton, Fla.-based campus attracts 30,000 athletes from nearly 100 countries annually. Students from 66 countries included a Kenyan 4×100 relay team, an Italian runner and Chinese athletes. IMG Academy offers youth camp and academy programs in a variety of sports, as well as athletic and personal areas of development. Additionally, IMG Academy offers training programs for professional athletes, teams and leagues from around the world. Multi-week and weekly camps available year-round. Academy boarding school (Pre-K — 12) program combines elite academics with athletics. 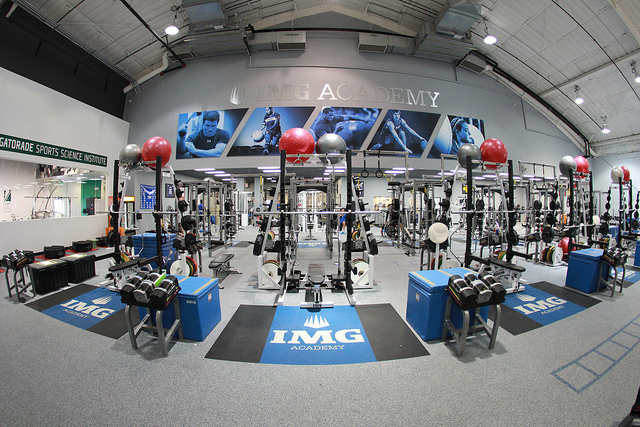 IMG Academy is housed within the IMG Performance division of IMG Worldwide. World-renowned track and field coach Loren Seagrave, IMG Academy’s current Director of Speed and Movement, will serve as Director of Track & Field and Cross Country. I had never spoken to Loren before catching him on his mobile device in the early AM as he was driving to catch a plane flight. We are connected on LinkedIn for several years now so it was a tremendous honor to finally speak to one the top track & field coaches anywhere on the planet about sports tech. Seagrave is also a USA Track and Field Master Coach in the sprints and hurdles, as well as the IAAF (International Association of Athletics Federations) Curriculum Coordinator for the Coach Education and Certification System for sprints and hurdles and Director of the IAAF Coaches Academy in sprints and hurdles. The first time I had heard of Loren was when he founded Velocity Sports Performance, a franchise that teaches young athletes how to be faster and improve their athleticism so they can get off the bench and into the game. Velocity Sports Performance has opened more than 90 locations in North America. Most Velocity Sports Performance Centers are 15,000 – 20,000 sq. ft. facilities that house a speed and performance enhancement center, which assists athletes in maximizing their abilities. Over the decades, Seagrave has worked with athletes at every level of the game – from aspiring juniors to collegiate runners to veteran NFL players and track and field Olympians. Past and present track and field pupils include: Angelo Taylor (four-time Olympic medalist, including gold in the 400m hurdles in 2000, 2008); LaShawn Merritt (two-time Olympic gold medalist in 400m, 4x400m in 2008); Joice Maduaka (six-time British women’s 100m champion, four-time British women’s 200m champion); Tianna Madison- Bartoletta (2012 Olympic gold medalist in the 4x100m); Demetrius Pinder (2012 Olympic gold medalist in the 4x100m); Dwight Phillips (2004 Olympic gold medalist in the long jump, four-time World Champion in the long jump); and Donovan Bailey (two-time Olympic gold medalist in 100m, 4x100m in 1995, 1996 World Champion in 100m). In the late 1980s, Seagrave also coached LSU’s Women’s Track & Field Team to five NCAA national titles. Loren talked with me briefly about Colorado Springs in the 1970’s and Tom Perez, Tom Peel and Jim Santos. Outside of track and field, Loren Seagrave has worked with numerous professional athletes to increase their speed and movement capabilities and enhance their overall performance. He most recently helped prepare more than 40 top NFL prospects for the 2013 NFL Scouting Combine, including seven first-round Draft picks like Luke Joeckel (#2 overall), Sheldon Richardson (#13), and Eric Reid (#18). Past NFL pupils include: Russell Wilson (Seattle Seahawks, 2012 Pepsi MAX NFL Rookie of the Year); Luke Kuechly (Carolina Panthers, 2012 NFL Defensive Rookie of the Year); Eddie George (Tennessee Titans); and Herschel Walker (Dallas Cowboys). He has also served as a consultant for the Atlanta Falcons, Detroit Lions, Jacksonville Jaguars, and the Chicago Bulls. Seagrave has also worked with numerous runners, tri-athletes and adaptive sports participants on increasing running efficiency. Establishing a reputation in track and field as one of the best sprint and hurdle coaches in the world, Seagrave has worked with countless Olympic , World Champions and Paralympians to help them train to become winners. 5,000 seats can expand to accommodate 10,000 fans. The second phase will include a 40,000 sq. ft. field house with professional locker rooms, meeting spaces, and offices come December 2013. MT Seagrave is a hill the athletes train on emphasizing proper angles and acceleration, the turf hill edges are worn form too much use, laughed Loren. IMG Academy is the world-leading provider of academic, athletic and personal development programs. With expert instruction, a proven training methodology, professional-grade facilities and a challenging and motivating learning environment that brings together individuals of all ages and backgrounds, IMG Academy provides the ultimate foundation for future success. The Bradenton, Fla.-based campus annually attracts nearly 200,000 athletes, coaches, event participants and spectators from 100 countries. IMG Academy offers sports camps and academy programs, in addition to training programs for adult, collegiate and professional athletes, as well as teams and leagues. 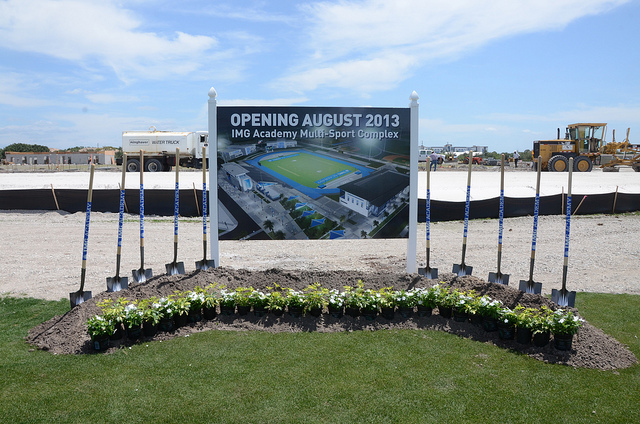 IMG Academy is also the host venue for countless international amateur and professional sporting events. In 1994, IMG Academies realized that the athletic landscape was changing and athletes needed to do more than just train in their sport and the weight room. With the launch of the IMG Performance Institute, athletes now have access to eight disciplines: Physical Conditioning, Mental Conditioning, Communication, Nutrition, Vision Training, Athletic Body Management, Life Skills, and College Planning and Placement. IMG Academy is housed within the IMG Performance (imgperformance.com) division of IMG Worldwide (imgworld.com). Sports Techie,If you live in the colder climates of the NE, Midwest and NW or elsewhere around the globe, head indoors to the Kick-Off camp conducted by IMG and guest staff. Expect to learn about techniques under a high-level of Track & Field and Cross Country training. This is a stand alone program or it can be taken in combo with other IMG programs. A proven training methodology and the most challenging, motivating and learning environment on the planet is yours at the IMG Academy. Attend sports camps, academic programs and training programs for adults, collegiate and pro athletes, teams and Leagues. IMG Academy has a College Prep Program, Sports Specific Training, Athletic and Personal Development, Leadership, Mental Conditioning, and Nutrition knowledge ready made for the serious athlete and coach to study and Master. The IMG Stadium is a World Class Facility with an accredited academic Institution used for both athletic and personal development. The companies history of developing athletes to College and beyond using the best sports technology to make it so is exciting to behold as the Sports Techie. Seven first round picks in this year’s NFL Draft trained under Loren and the IMG Academy staff. 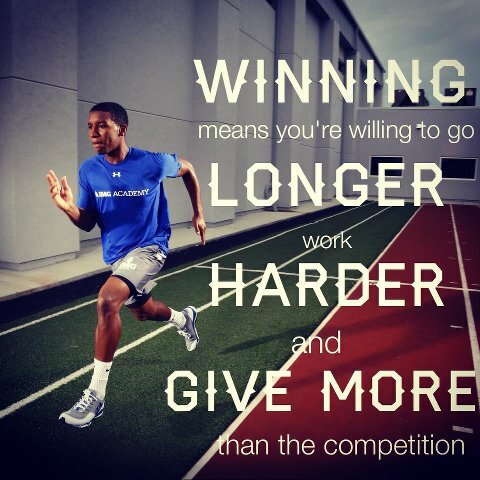 Loren says they, “Learned the blend of NFL and Track & Field.” This training formula has proven to help IMGer’s earn thousands of extra contract dollars after their NFL combine and private workouts are evaluated causing them to be drafted higher than expected. The financial rewards are incentive enough for draft prospects to learn from the IMG best on how to train, run and move more efficiently. Loren shared how Seattle Seahawks star quarterback Russell Wilson, “has a special place in my heart.” Both attended the University of Wisconsin where Loren played ice hockey. Russell was a, “student of training much like Chris Weinke was,” said Seagrave. IMG Academy alum and amputee David Prince trains and competes in the single leg T-44 class as a world class and elite Paralympic athlete. Adaptive and disabled athletes have become the newest inspirational IMG Academy student-athlete’s according to Seagrave. Speed, agility and movement are what the best athletes have in common. Attend the first ever IMG Academy Track & Field and Cross Country program Kick-Off Camp, where coaches learn by doing, and athletes learn by performing and studying.